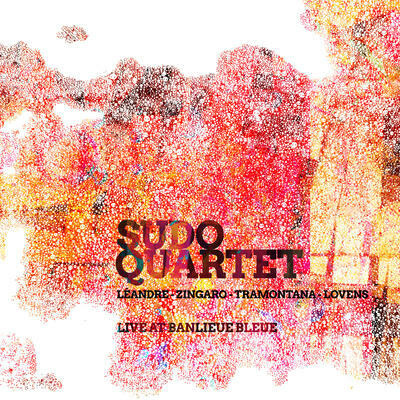 You can’t really beat the Sudo Quartet in terms of lineup: Joelle Leandre on bass, Carlos Zingaro on violin, the too seldom heard Sebi Tramontana on trombone, and percussionist Paul Lovens. A 2011 live shot, this release is stuffed with music that’s both emphatic and spacious. Lovens has such a distinctive sound and unique sense of momentum – the language seems to capture the form, somehow – and it works marvelously to stitch together the at-times eldritch strings playing along with Tramontana’s buoyant tromboneliness (with special mention going to his mute work). There are moments where shifts in register appear as if from nowhere, or when Leandre’s deep groans catalyze moments of gathering intensity (with hand patter on snare, or that blocky tumble in Lovens’ sound). But equally compelling are those moments where Leandre and Zingaro explore an impressive range of details: timbre, register, counter lines, percussion, and emotional projection. There’s an extended vocal section for Leandre and Tramontana, during which Zingaro and Lovens (on saw) pull things skyward, with occasional crashing punctuations. And there is a fine balance of detail struck throughout: percussive, almost jagged funk; skittering pizzicato and overtones against the smallest of percussion clacks; trombone and glossolalia; or wafting, textural drift. Because of the empathy and communication among the particulars, this music is aces regardless of where it goes.